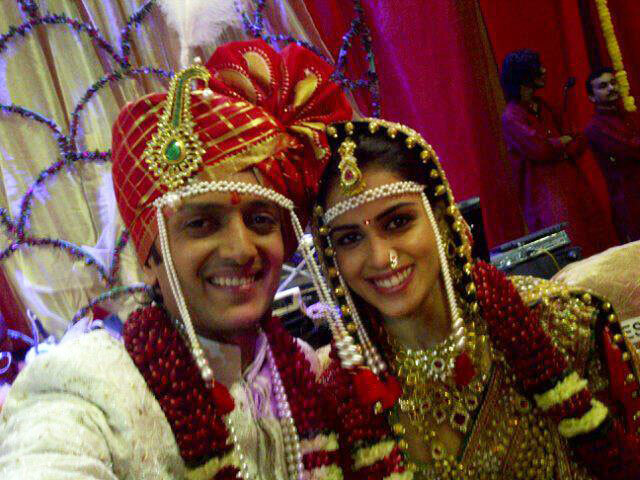 For Ritesh Deshmukh and Genelia D’Souza, 3rd February 2012 is the biggest day of their lives. The couple who have been dating for more than 8 years, finally tied the knot in Marathi tradition. They are now husband and wife. The wedding took place at the Grand Hyatt in Mumbai. It was a small gathering of only close friends and family. 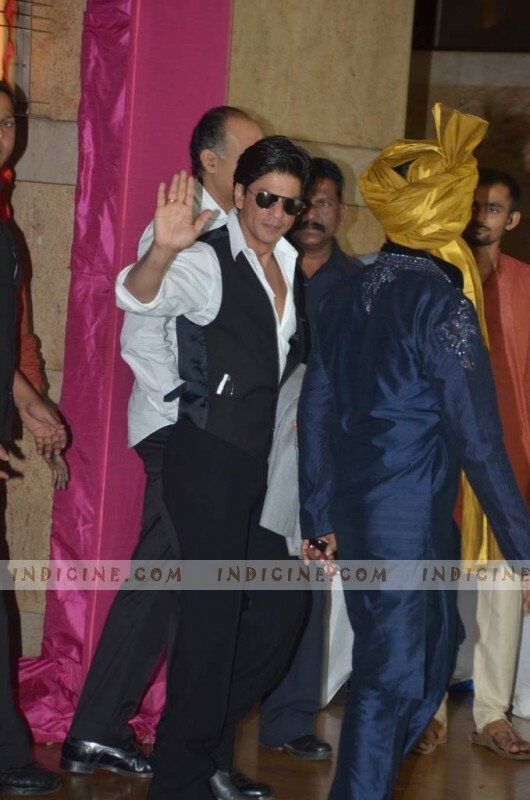 The celebrities who made it to the function are Shahrukh Khan, Abhishek Bachchan, Jaya Bachchan, Kajol, Ajay Devgan, Akshay Kumar, Sajid Khan, Shahid Kapoor, Karan Johar, Ashutosh Gowariker, Sajid Nadiadwala, Satish Shah, Asin, Jacky Bhagnani, Vashu Bhagnani, Ramesh Taurani, Nishka and Neeta Lulla. 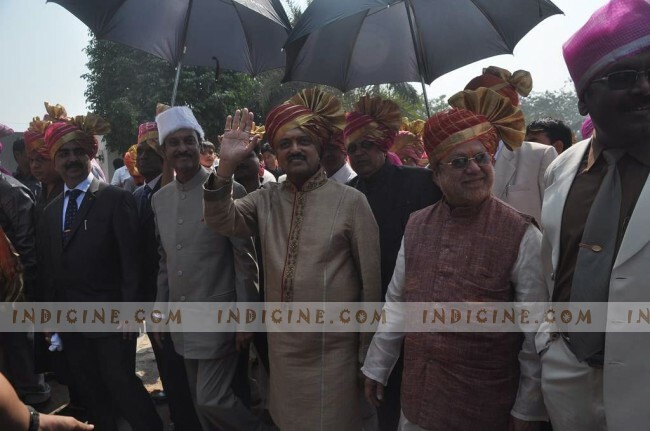 Politicians in the guest list were Sharad Pawar, Praful Patel, Sunil Tatkare and Johny Joseph. 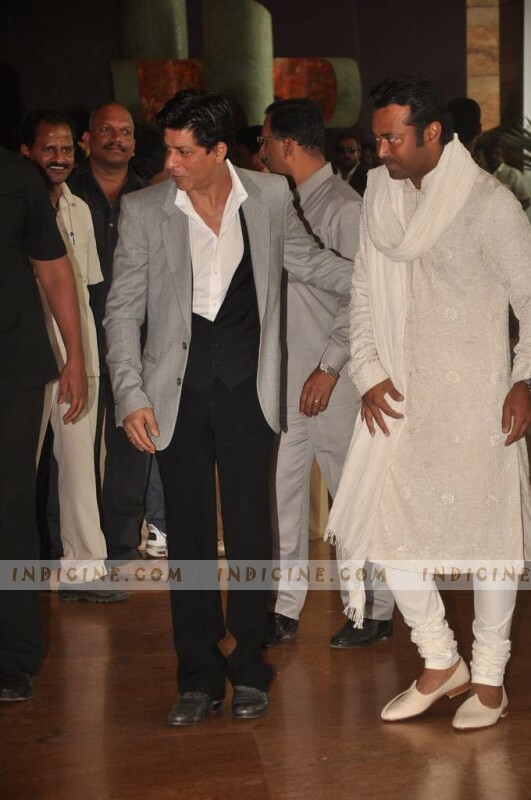 Shahrukh Khan – What a lovely wedding… Ritesh and genelia looked beautiful… may Allah bless them with happiness. Side Note : the chola roti was very nice too. Prateik Babbar – Have a great life together Ritesh – Genelia !! Happiness always…. Sherlyn Chopra – Best wishes to the newly wedded couple – Ritesh and Genelia. Sonakshi Sinha – Aaj mere yaar ki shaadi hai! 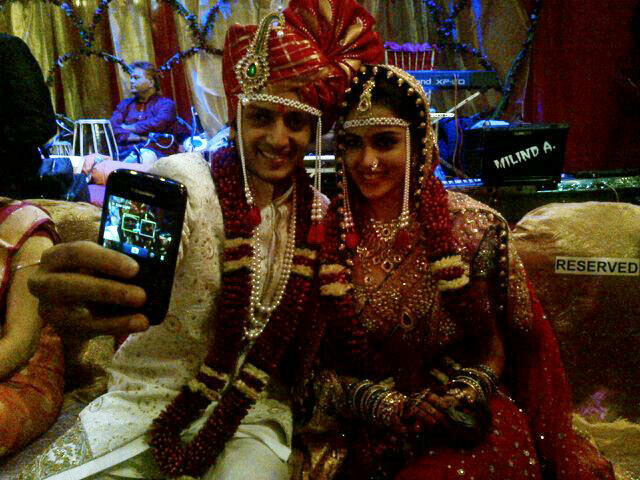 MASSIVE congratulations to the cutest couple on the block Ritesh And Genelia.. And even bigger apologies for not being there! 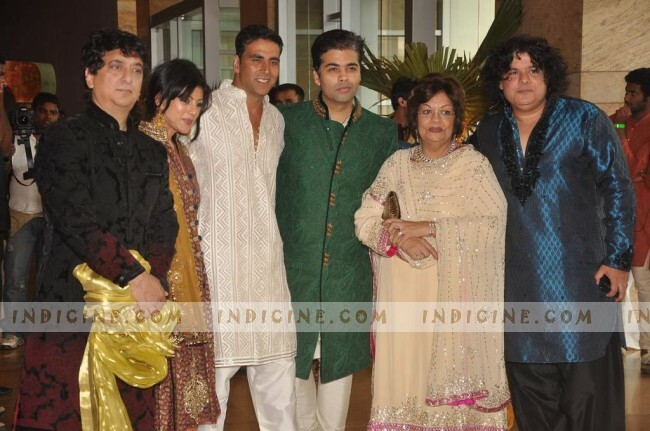 Have a look at the first wedding pics of the couple. Both look equally excited and happy as they step into a new phase of life. 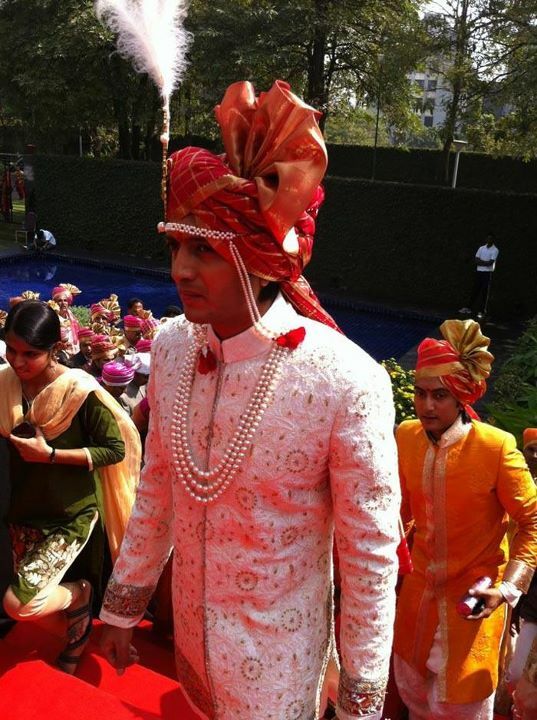 Ritesh wore a white sherwani and a red turban. The long pearl necklace looks royal. 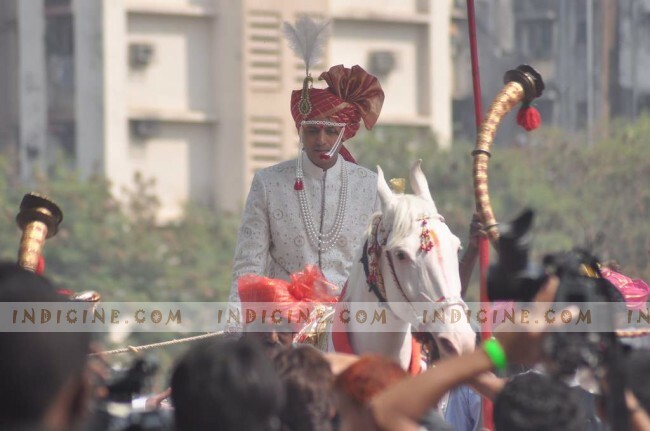 His bride Genelia looked gorgeous in a red lehenga designed by Ritu kumar and heavy bridal jewellery. May you have best both the worlds. 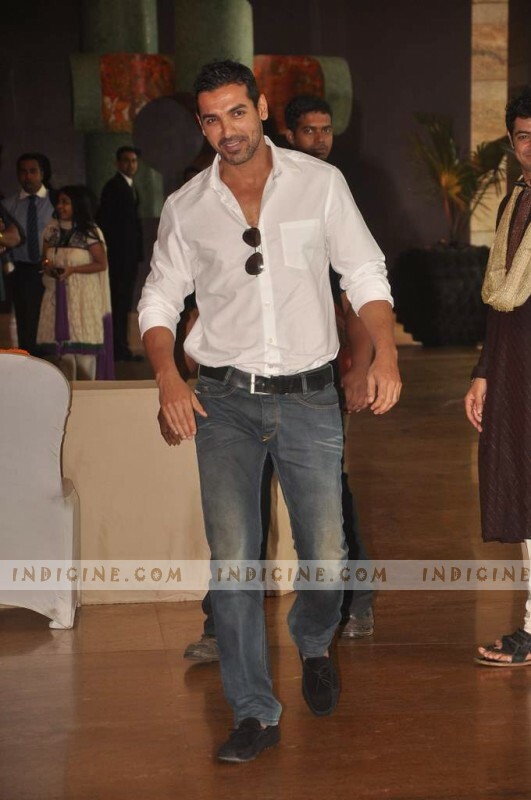 ritesh nd genelia luk nice…….